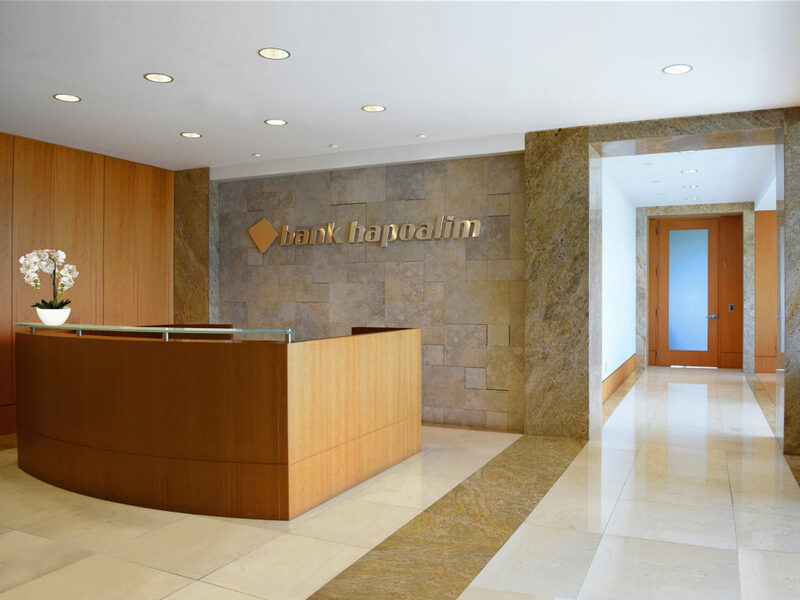 Bank Hapoalim moved their offices from downtown Miami to the Aventura Harbour Centre building located in Aventura, Florida. 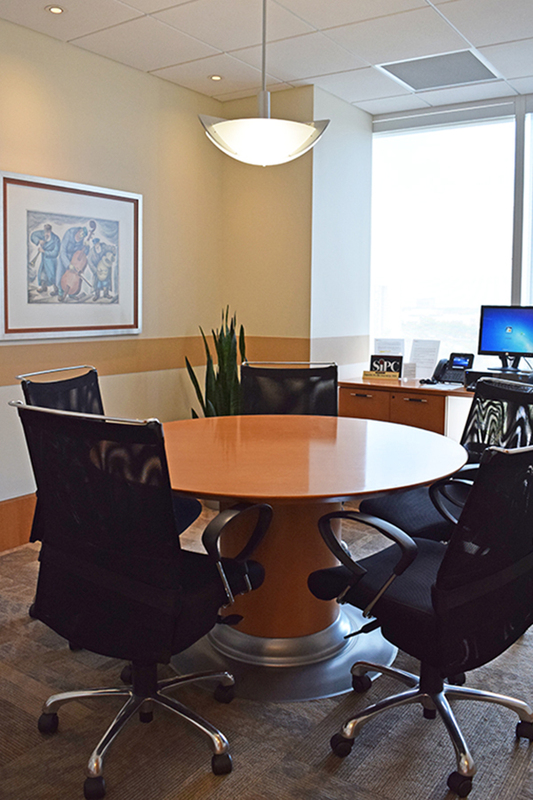 Operations staff was relocated from New York to the Aventura space to increase their coverage in South Florida. Programming of all departments was necessary to provide efficient work flow and important adjacencies for new work relationships. 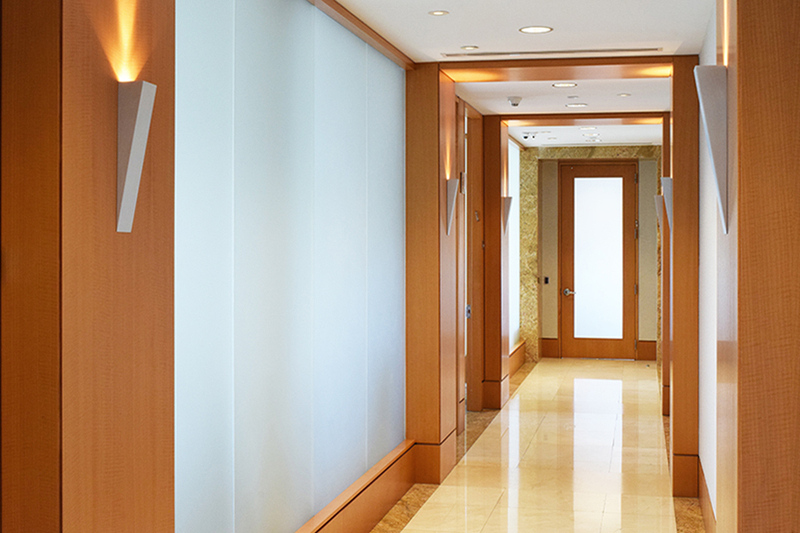 PN+L worked with Bank executives to provide privacy requirements for private banking transactions. 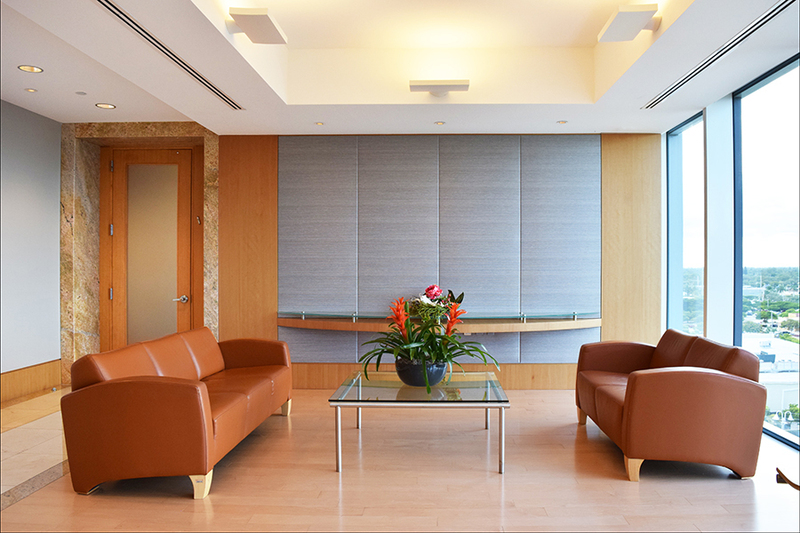 Special meeting rooms were created for discretionary banking and to discreetly separate private banking clients from everyday visitors. 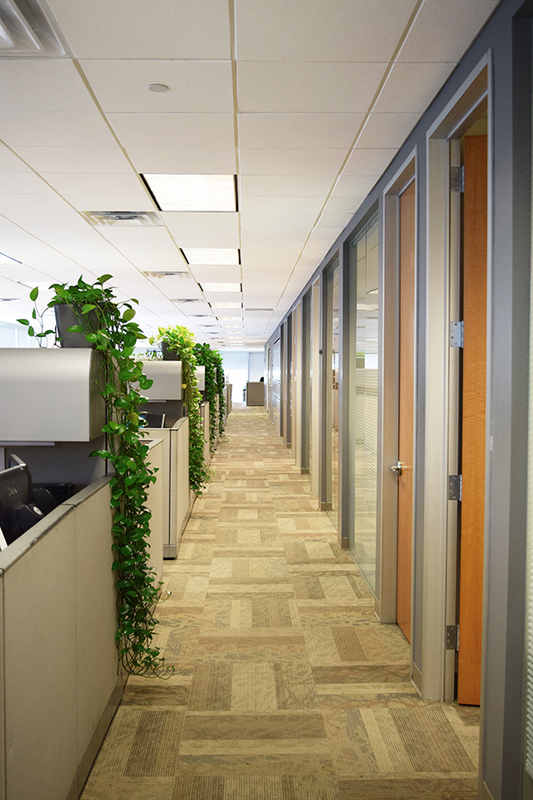 The Bank leased the entire floor which is approximately 19,500 rentable square feet of space. The materials used were reminiscent of materials and colors from Israel. 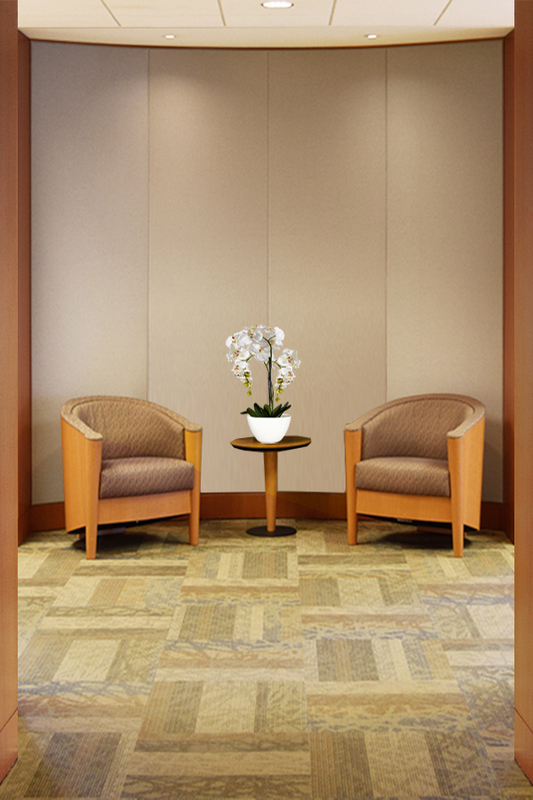 Light maple and warm tones provide a happy, cheerful and comfortable environment. 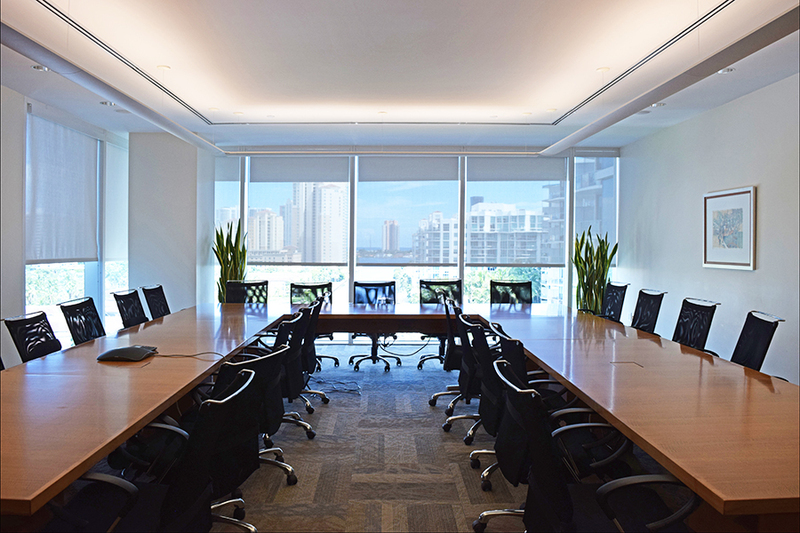 PN+L provided comprehensive architecture and design work for all spaces including offices, conference rooms, dining rooms, elegant client restrooms, employee lounge, kitchen, training rooms, storage, filing areas and other spaces necessary for secure functions.